In December of this year, 'Star Wars: Episode IX' will be making its galactic arrival into our humble Solar System, drawing a final conclusion to the Skywalker story, which more than 40 years ago with 'Star Wars: A New Hope'. Finally we are able to enjoy the first trailer for the film which will bring an emotional ending to one of the most successful, beloved, and long-running stories of all time. Here it is the tráiler of... 'The Rise of Skywalker'. This final episode is written and directed by J.J Abrams, who successfully resurrected the franchise with 'The Force Awakens' back in 2015. Confirmed in the cast are Daisy Ridley, Adam Driver, John Boyega, Oscar Isaac, Lupita Nyong'o, Domhnall Gleeson, Kelly Marie Tran, Joonas Suotamo, and Carrie Fisher's daughter, Billie Lourd. Mark Hamill has confirmed that he will be returning to the role of Luke Skywalker, to say a final goodbye to the jedi, and Billy Dee Williams will also be reprising his role as Lando Calrissian. 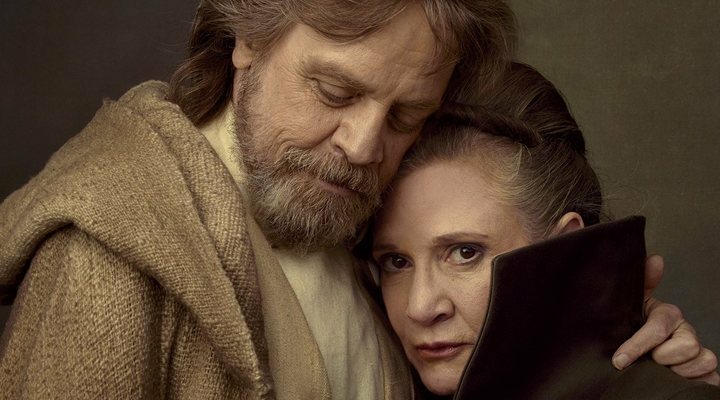 After Fisher sadly passed away, her role as General Leia Organa in the final film was left unclear; however in a heartwarming announcement, Abrams confirmed that she would be making an appearance: "We desperately loved Carrie Fisher [...] we have found a way to honour Carrie's legacy and role as Leia in Episode IX by using unseen footage we shot together in Episode VII." The return of these beloved original characters in the saga's finale will doubtlessly be an emotional reminder of the origins of 'Star Wars'. Although the 'Star Wars' franchise will continue in new stories, such as 'The Mandalorian', and continuations of stories such as 'The Clone Wars', this final episode in the three-trilogy saga following the generations of the Skywalker family will be an emotional goodbye for all fans of the universe. The film is set for worldwide release on December 19th 2019.